Athens: Ridgebury Crude Tankers (RCT) says it intends to purchase two tankers from its sister company Ridgebury Aframax Tankers (RAT) for a below-market price of $20m each. The two aframax vessels to be acquired are the Ridgebury Sally B (105,672 dwt, built 2003; pictured) and the Ridgebury Alice M (105,745 dwt, built 2003). RCT will buy the Japan-built vessels using excess cash from its bond agreement. “RCT has generated significant cash thus far in 2015 and expects to have cash balances of between $38m and $40m by the end of June, of which $20m to $22m is expected to be excess cash,” the company said today. Currently, the bond agreement is limited only to the purchase of second-hand suezmax and MR tankers, and so will need to be amended for the afra acquisition. RCT says it will seek bondholder approval for the amendment in the coming weeks. If successful, the first vessel is expected to be purchased during June, with the second following later in the year. The vessels will be added to the collateral package securing RCT’s 7.625% senior secured bonds. 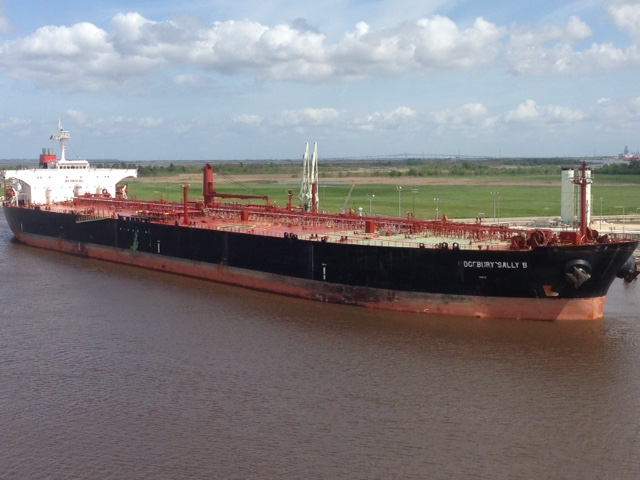 RAT acquired the vessels in late 2014 at a purchase price of $23.16m per vessel.